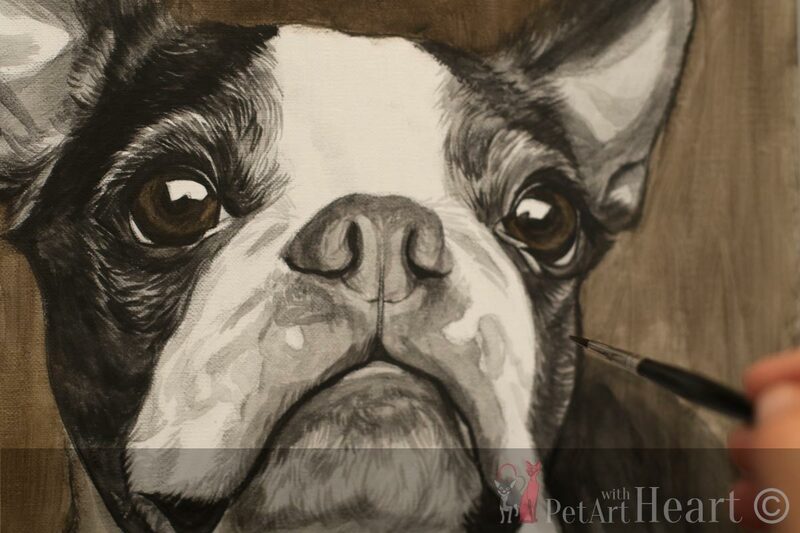 While Emerson is at the framer I started up a new painting of Boston terrier portrait in oils. 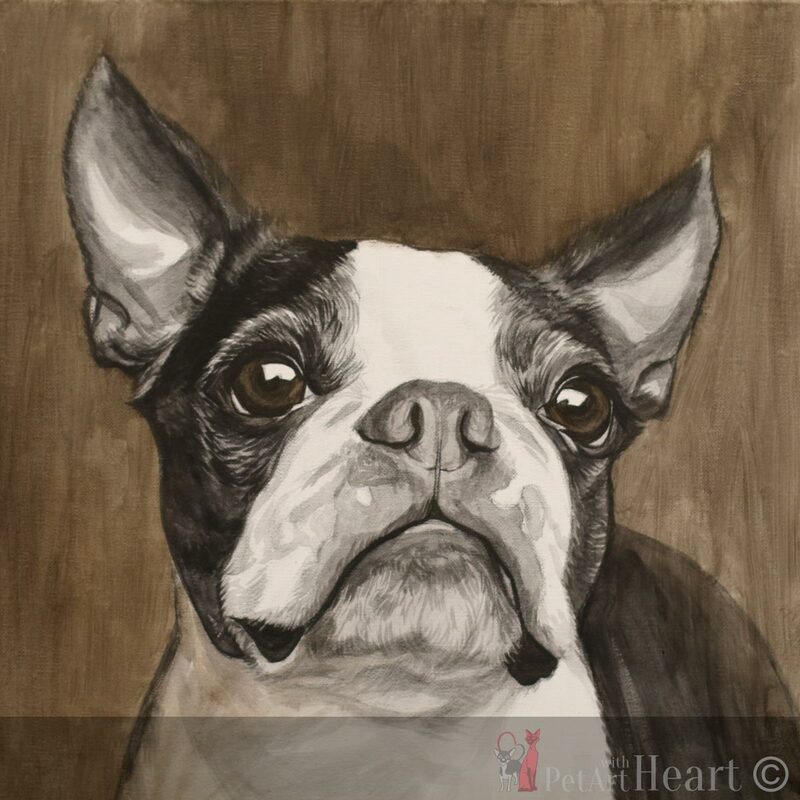 Her name is Bella and she is painted in size 12″x12″ on professionally stretched Italian Linen canvas. The first stage is painted with acrylics in order to speed up drying times. From now on I will start blocking in the canvas with oil paint only. 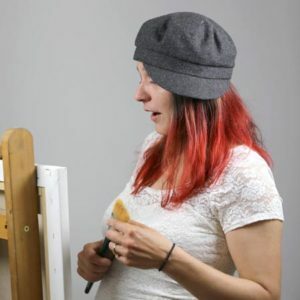 Some parts of the portrait at the bottom aren’t visible in the photo because if the easel edge. I simply cropped the picture, however it will be visible when I upload the final scan.